What is best filler for two deep vertical lines between the eyebrows? I'm 68 yrs old with two deep vertical lines between my eyebrows. What's the best filler for this area? Thanks! 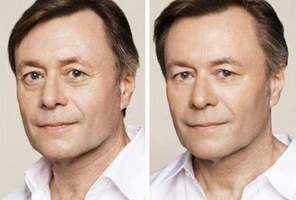 In my experience, the vertical frown lines respond better to Botox than to fillers. However, we have predominantly used Restylane-L in this area as a stand-alone treatment or coupled with Botox in other patients.